Many small and medium businesses are running their critical servers on VMware vSphere and Hyper-V environments to get better resource utilization and minimal downtime of their production environment. 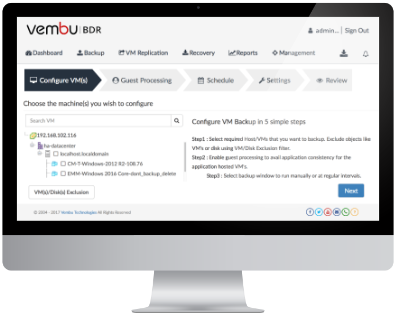 Vembu BDR Suite Free Edition for VMware and Hyper-V offers backing up of unlimited VMs running on an ESXi and Hyper-V Host at zero cost. 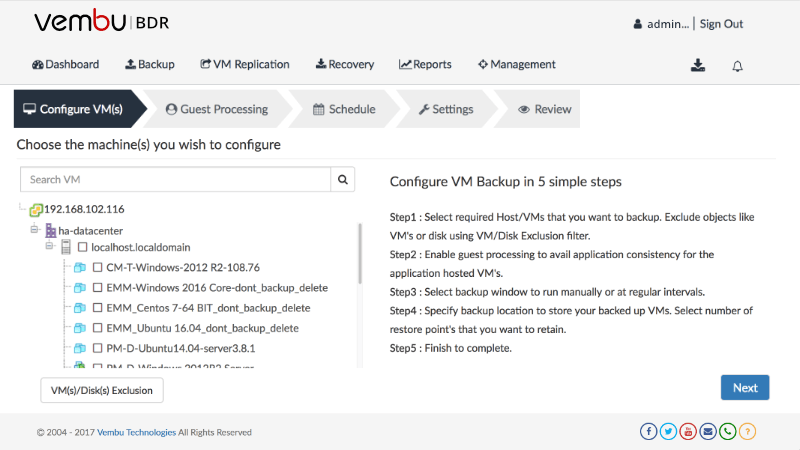 Complete support for VMware vSphere 6.7!